Exotic workpiece metals are often chosen with considerations for strength and heat resistance. Because EDM is a thermal process the melting temperature and thermal conductivity of the metal will have the biggest effects. 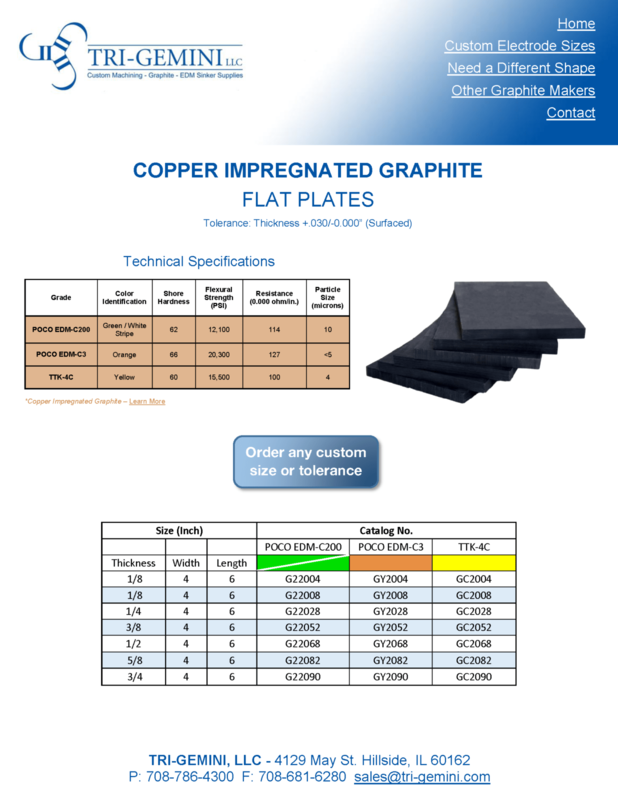 Effectively EDMing exotic metals such as Beryllium Copper, Titanium Alloys, and Carbides is greatly benefited by a switch to copper impregnated graphite. 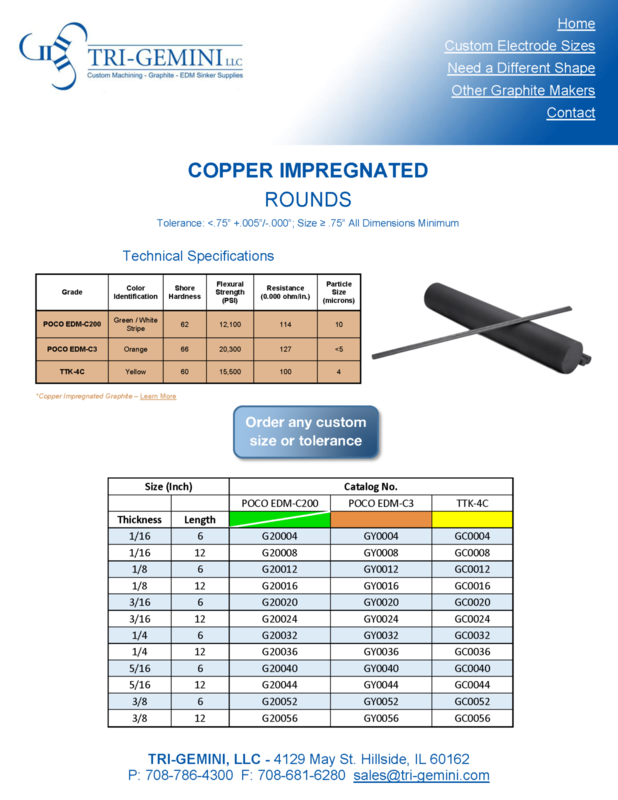 Infusing copper with porous graphite lowers the resistivity of the electrode and allows for more power to pass through to your work metal. Because of Copper on its own is relatively soft, tight tolerances on small details can be very difficult to machine. Setting up your EDM machine to a negative polarity for cutting exotic metals is recommended. Negative polarity maximizes the spark energy and helps meet the thermal requirements for an effective cut of these metals. The trade-off for increased metal removal rate is an increase in electrode wear. On-time settings for your EDM machine should also be reduced. Due to the high conductivity of many exotic metals, excess energy from the spark is quickly dissipated throughout the workpiece. Setting your on-times to between 12 – 20 microseconds is a good place to start. Be careful to consider the thermal conductivity of your workpiece before increasing the amperage setting. Changing to a negative polarity has already increased the spark energy and metals such as carbide are particularly susceptible to damage from excessive amperage. For POCO Graphite minimum requirement for pick-up by weight is 75% and 60% for EDM-C3 and EDM-C200 respectively. This means that a block of non-impregnated material weighing 14 pounds before impregnation could weigh as much as 24.5 pounds after with the minimum 75% pick-up for EDM-C3 and 22.4 pounds after the minimum 60% pick-up for EDM-C200. 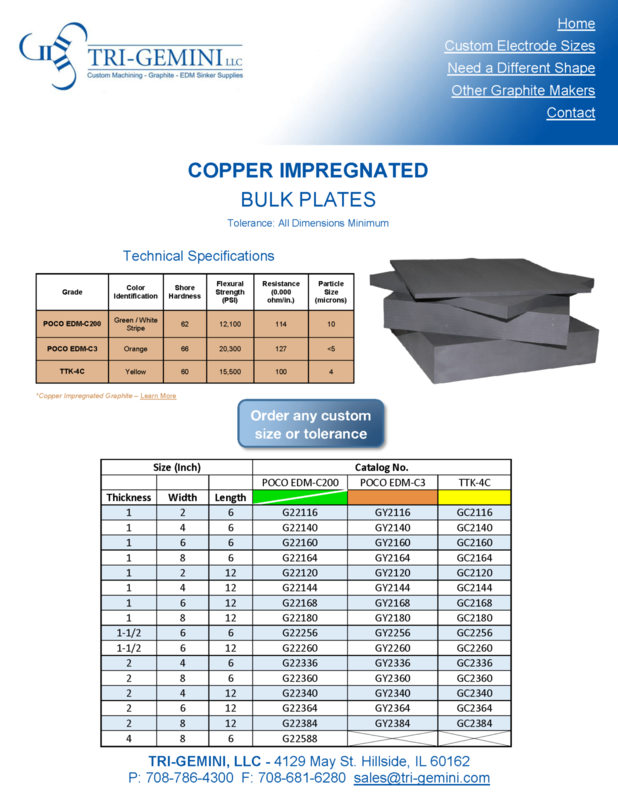 For EDM-C3, if we look at a 2" x 8" x 12" block of material weighing 14 pounds prior to impregnation and 24.5 pounds after, then this 75% pick-up does not mean that it is 75% copper and 25% graphite. The weight of the block is now comprised of 14 pounds graphite and 10.5 pounds copper. By weight, this means that the ratio for this block is 57% graphite and 43% copper. The density of copper is around 8.96 grams/cc and is approximately 5 times that of graphite (at 1.75 g/cc density). By taking our 2" x 8" x 12" block of EDM-C3, this equals 192 cubic inches or the equivalent of 3,146 cubic centimeter (1 cubic inch = 16.387 cubic centimeter). 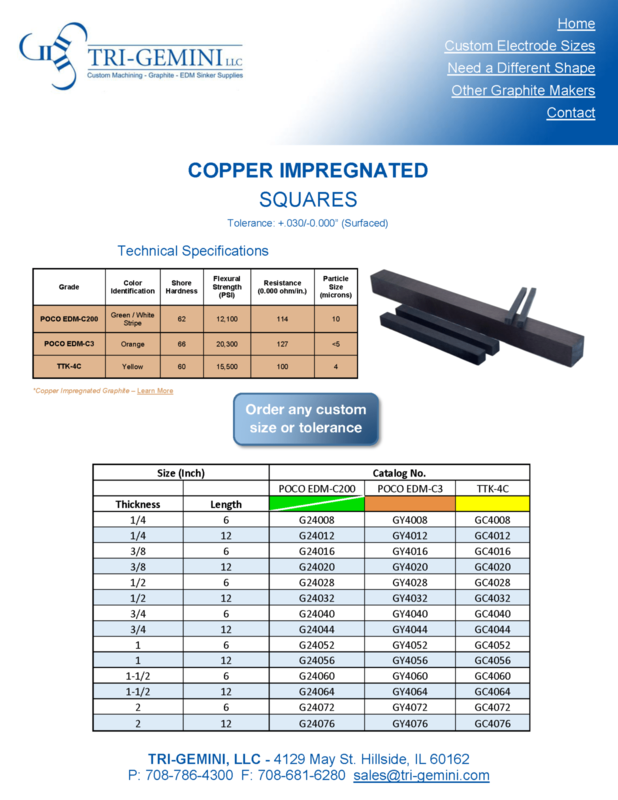 Since there are 453.6 grams in 1 pound, and taking into account there is 10.5 pounds of copper in a block, we factor approximately 4,762.8 grams of copper in one EDM-C3 block measuring 2" x 8" x 24". Reverse calculating that copper weighs 8.96 grams/cc, we can estimate that there are 531.6 cubic centimeters of copper in a block. With a total of 3,146 cubic centimeters in a block of EDM-C3 and 531.6 of this being copper, then we could estimate that this represents 16.9% of the total volume. Making the final volume approximately 16.9% copper and 83.1% graphite by volume. Using this same formula for EDM-C200, we could conclude that with the same size block (2” x 8” x 12”) would result in the material containing approximately 14.4% copper and 85.6% graphite by volume.